READY TO CAPTURE THE CRAIC? WHAT'S SO DIFFERENT ABOUT THE SNUG? An Irish gem, the Snug is the perfect place to escape not only the cold, but also the hustle and bustle of The Big Day! Log fire, dark timber matched by no other - The Snug may well be the snuggliest of all Photobooths! Where else can you find your own private Photobooth Pub for your Big Day?! The Snug comes with 2 ENERGETIC ATTENDANTS to ensure everything runs smoothly! DEFINITION: Craic is the Irish word that most confuses outsiders. Yet it is a relatively simple concept. It is the atmosphere, fun, carry on surrounding a particular night out. WE GUARANTEE BUCKETS OF IT! Playlists to beat the band, have your very own trad session! How about Some Fun Facts about Irish Pubs? That's why we decided to combine the best of both! Thank you so much to Kevin and the guys for an amazing wedding reception! 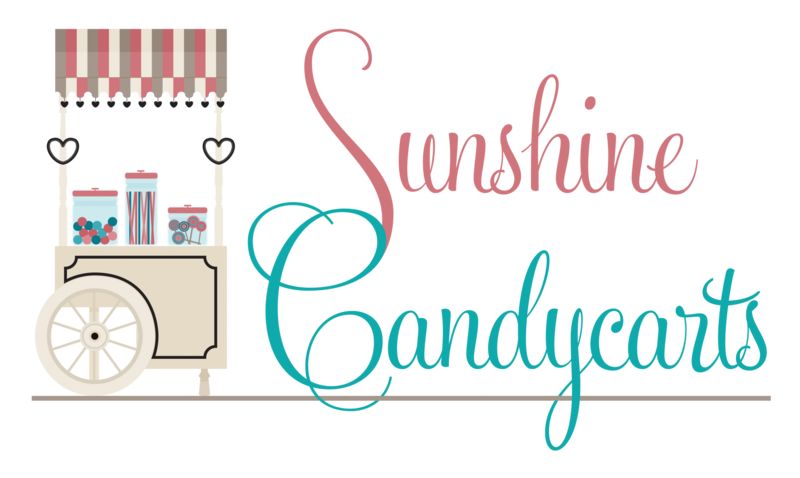 !� It made it and the guests absolutely loved it! The pics are just hilarious�� So delighted we had ye there!! Absolutely fantastic addition to the wedding day and the staff involved are top notch and great fun, fitting right in with guests. Highly recommend this company. 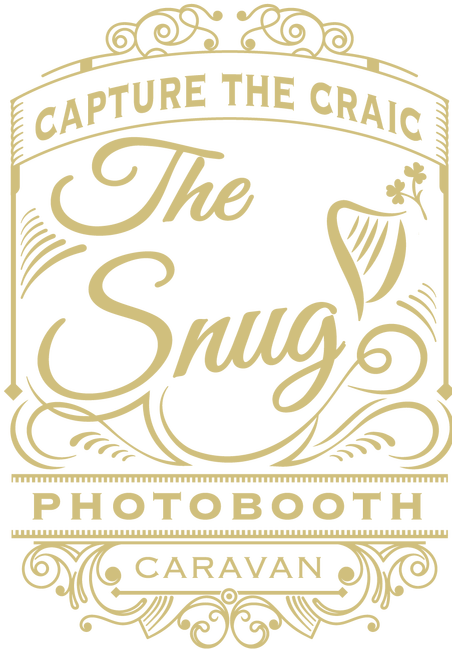 Thank you to Kevin from the The Snug Photobooth Caravan for capturing all of the fun of our wedding last Friday. Everyone had a great time in the photo booth and the quality of the photographs was excellent! The caravan was a great novelty for our guests - especially on a glorious sunny day! I was delighted to have the album back to me the day after my wedding. 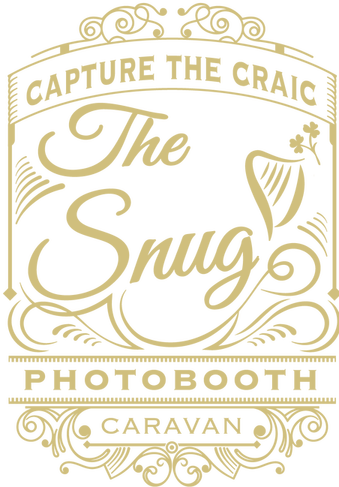 I'm so glad we saw The Snug Photobooth Caravan at the wedding expo in UL last January! If you're looking for something a little different for you're wedding and want to capture all the fun of the day I would highly recommend Kevin and the Snug! What a wonderful photo booth no doubt. But most of all what a wonderful team to deal with. So helpful at every turn. Thanks so much to The Kevin's! Fabulous idea for an occasion . Well done to all involved we loved it ! 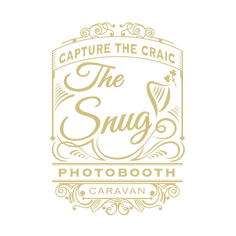 WE AIM TO PLEASE – FOR A BESPOKE QUOTE – GET IN TOUCH TODAY! We'd really love to hear from you - Drop us an email and we'll get back to you within 24 hours!